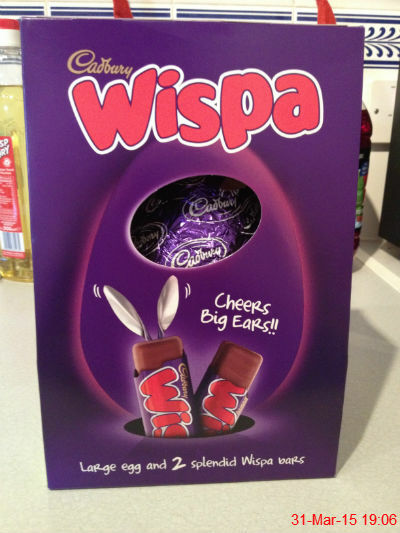 I got this today from Nicola and she picked well, because I love a Wispa! 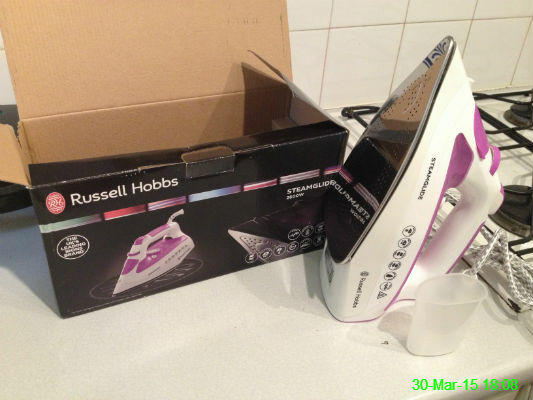 The �00 iron we bought 7.5 years ago has finally given up, so this was the replacement. It was on offer so it cost �.99 and although it works perfectly, I wouldn't have paid the RRP of �.99, that would have been far too much of an increase from �00! 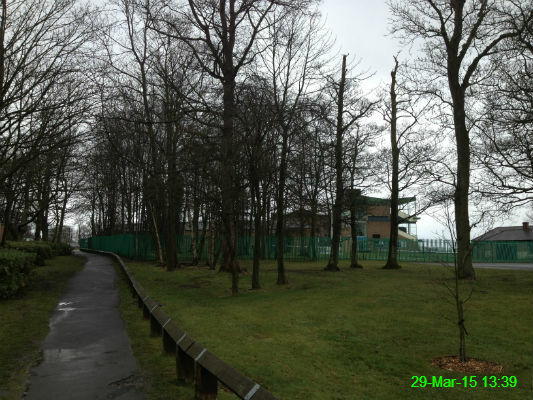 I went for an 11.4 mile walk with Ali, which involved Gosforth Park and several rain showers. 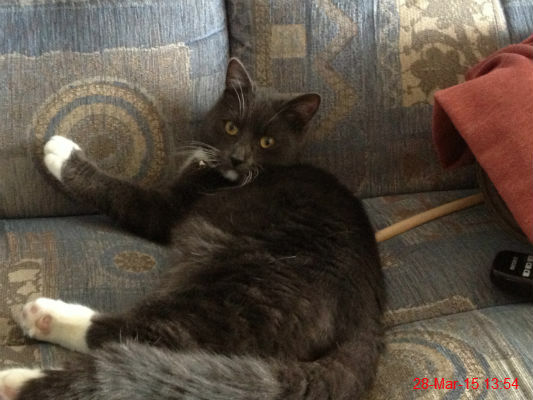 I went to meet my new brother, Carson, who seems to be settling in nicely with Mam and Chris! I spent all morning at work glancing out of the window at the sun and looking forward to enjoying a walk along the quayside. Naturally, by the time I reached my lunch break the clouds had arrived. 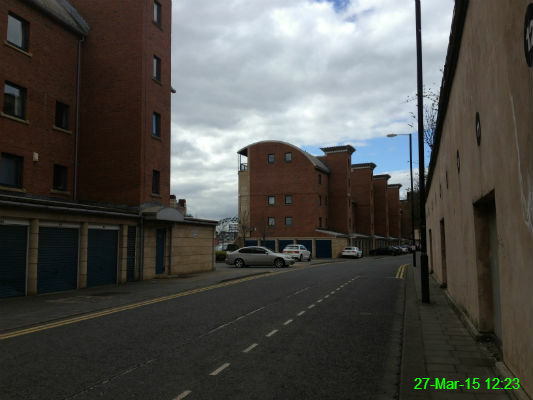 I still managed a few miles which took me round the back of some of the apartments along the quayside towards Ouseburn. You can just about see the Rugby World Cup sign which has been put up on the Tyne Bridge peeking through the gap. For the incredible price of only 80p each I couldn't resist picking up a few of these. I've only read The Tell-Tale Heart previously but I do love it so it'll be nice to have a keepsake. 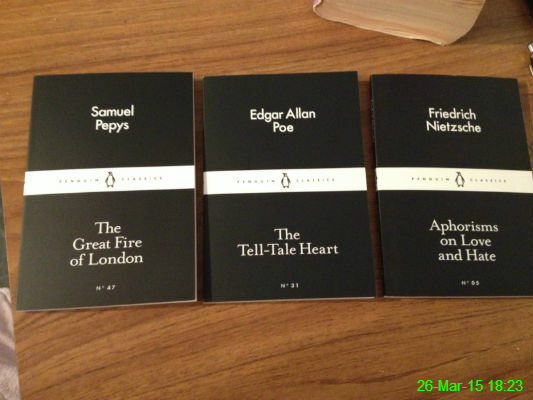 Samuel Pepys' diary is one of my go-to radio shows during a sleepless night, and the quotable Nietzsche book should be worth a flick through. 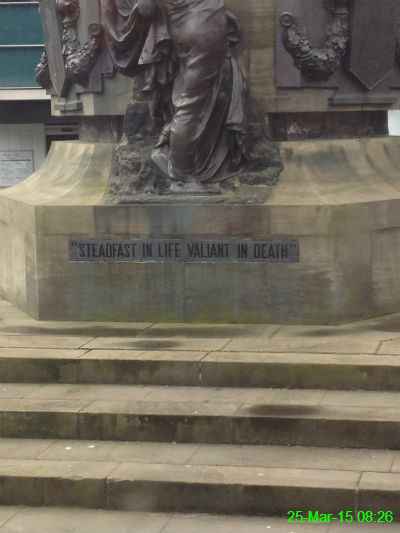 I had time to reflect on this dedication while the bus waited in traffic at Haymarket. 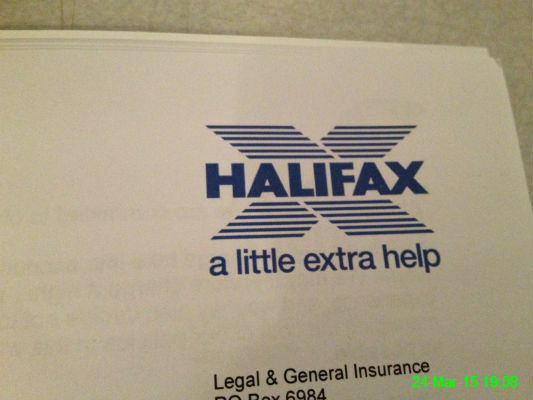 It's renewal time for our buildings and contents insurance. 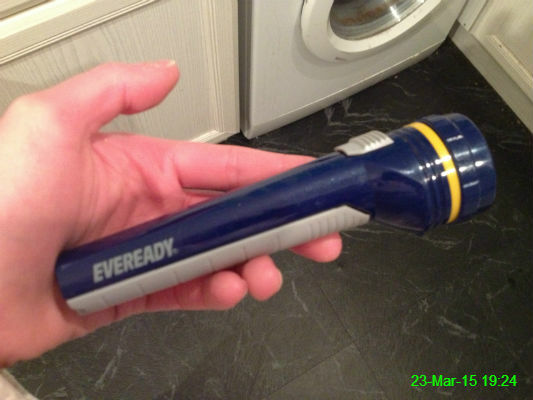 I can't remember the last time I used this torch, but it lived up to its name as it's still in fine working order. 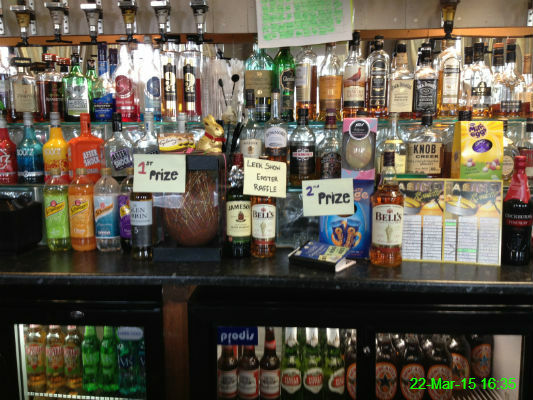 We sat at the bar in the Grey Horse for a few hours and eyed up the prizes for the Easter raffle. 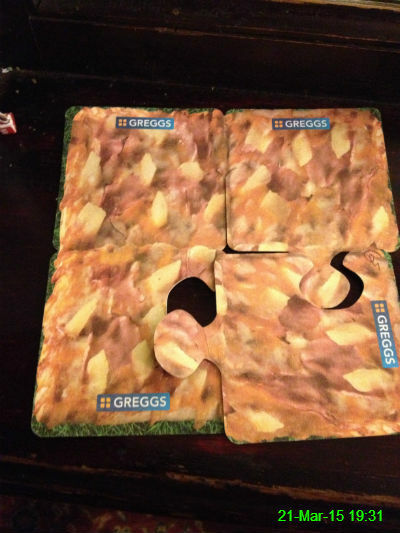 I found these beer mats slightly annoying because a) they show ham and pineapple pizza, which is awful and b) we couldn't find one to fit in the bottom right corner. 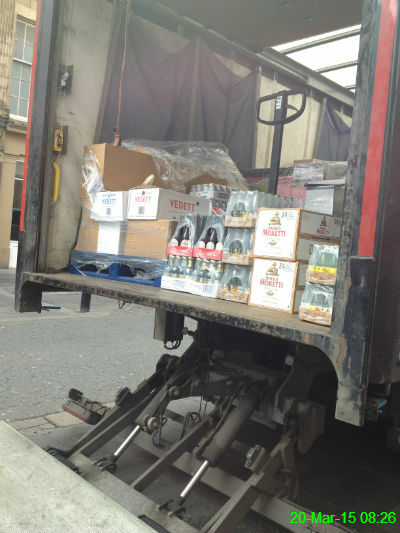 I watched a bloke unload this Tesco delivery van while I queued for the cash machine. Just to the right of the Vedett there are some crates of Aspall cider which gave me a huge craving for the stuff all day, which still hasn't been satisfied. I'll have to track it down somewhere tomorrow to have a drop. 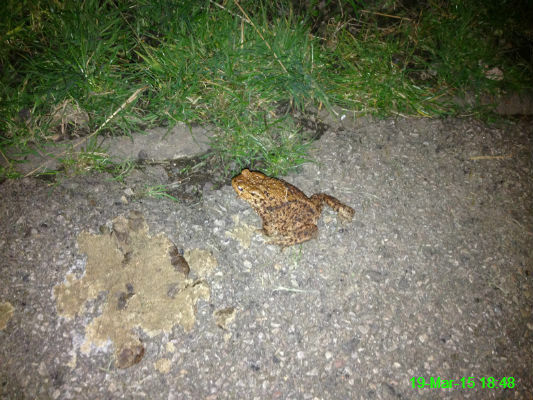 I spotted this dude crawling towards a field as I walked home. I'm sorry about the dog excrement sharing the photo, but he went completely still, probably through fear. Poor thing probably thought he was about to "croak" it! I hope I'm not always that scary. I've been suffering from what I believe to be inflamed cartilage between my ribs (because doctors just love it when we diagnose ourselves using the internet!) 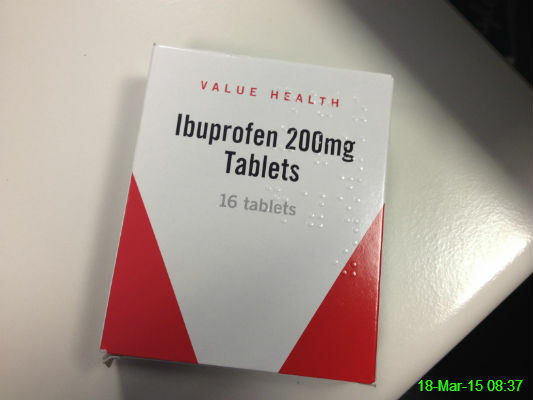 This ibuprofen may not be the best brand on the market but it's doing a pretty good job of keeping the pain at bay. 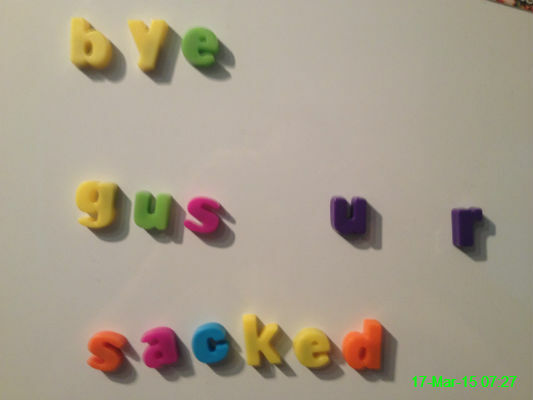 Sunderland manager Gus Poyet was sacked yesterday so I wrote a message to him on my fridge. I don't expect him to see it, but nevermind! I feel like I've probably taken a photo of this artwork before due to its proximity to work, so apologies if I'm duplicating but it was a fairly uninteresting Monday. 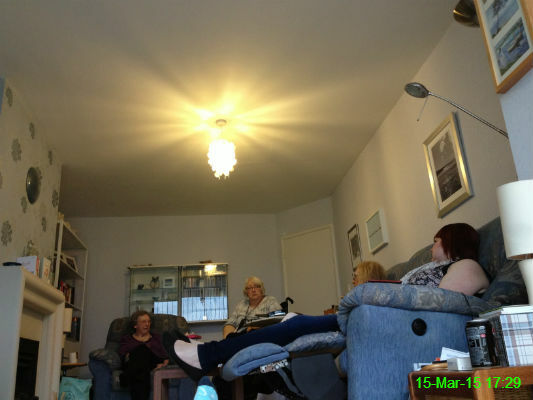 It's always great to spend Mother's Day with my favourite women: Gran, Mam, Auntie Sue & Ali. 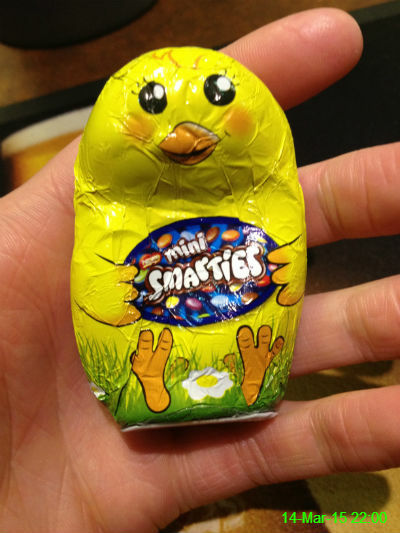 I had to buy something to get cash back at the shop and this little Easter chick seemed appropriate. Then it melted in Michael's pocket and just looked a bit pathetic. We still ate it. 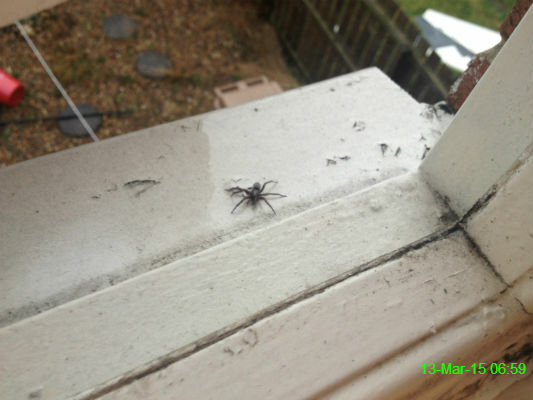 I thought I was done for when I opened the bathroom window to see this beast creeping towards me! Thankfully I'm well equipped to handle such events - plenty of toilet roll and a flushable toilet. I'm not usually so heartless, but he was definitely about to crawl inside and hide somewhere, so it was a pre-emptive strike. Since it's coming up to 3 years (already!) 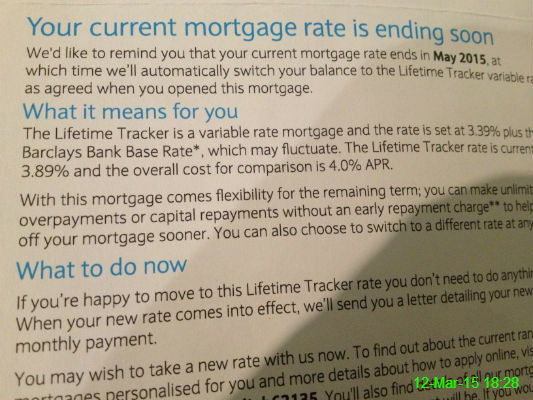 since we bought our house, we got a letter to remind us that the fixed rate on our mortgage is due to end soon. 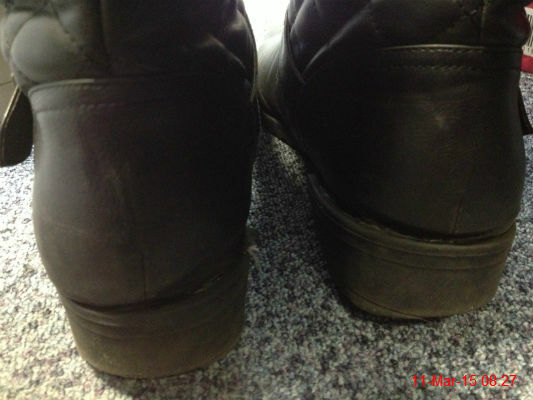 The material my boots are made of is starting to come away from the soles. With rain forecast for the next 3-4 days, I might have to start carrying a spare pair of socks with me. 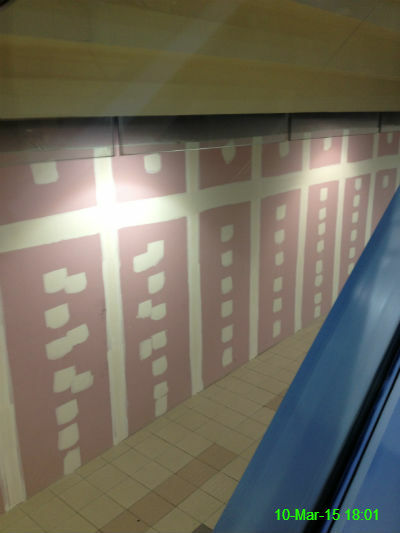 I don't know what these pink and white areas in Eldon Square are supposed to signify, but I don't think I like them. 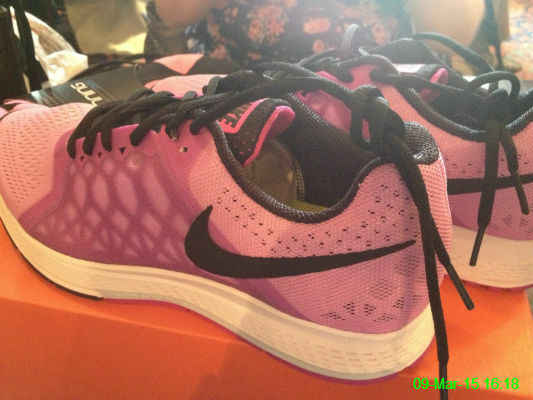 I went with Ali to get her first pair of running shoes so she can start training for her first Great North Run. If the "shoes on the table" curse doesn't attack her, that is! 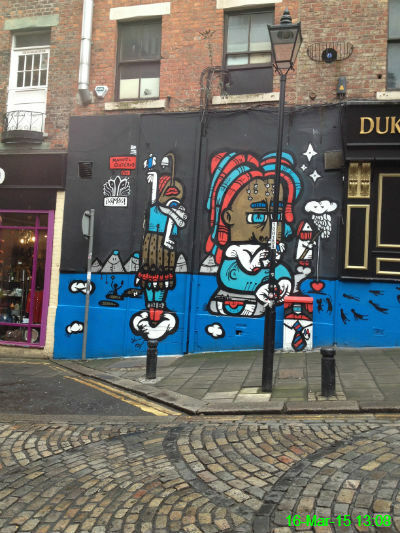 I tagged along with the Fitzy's crew for a day/night out in Whitley Bay and Tynemouth. 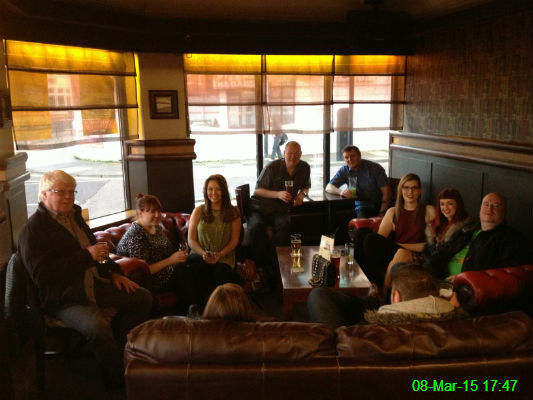 It was great fun as always and they were very accommodating when I demanded a group photo. 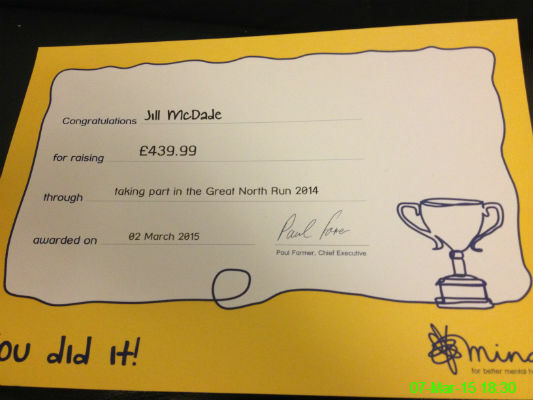 Better late than never - Mind were finally able to send out certificates for last year's Great North Run. I walked to Wylam with Michael and Ali. 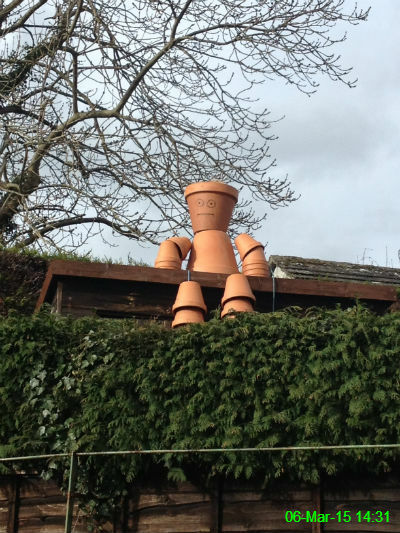 We were greeted by this cool dude. 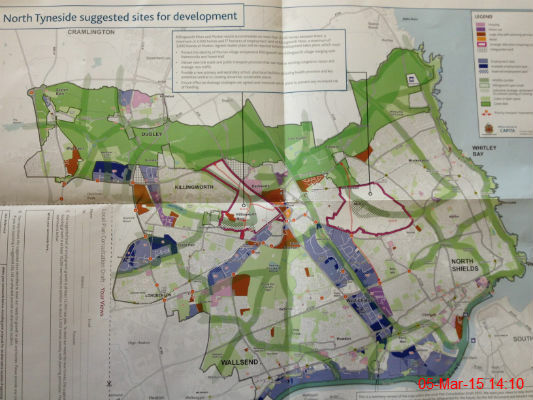 I had a good look over the proposed development sites in North Tyneside. 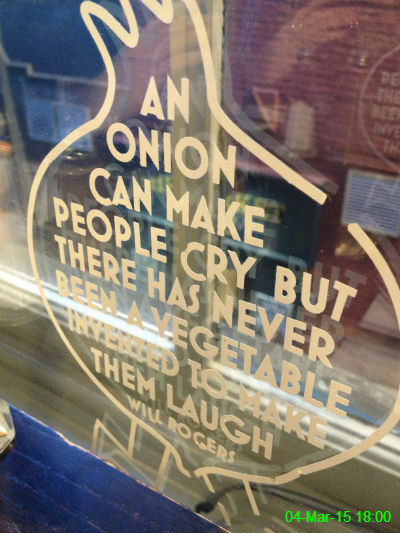 This quote on the window of Don Vito's just made me want to order a pizza with onions on it. 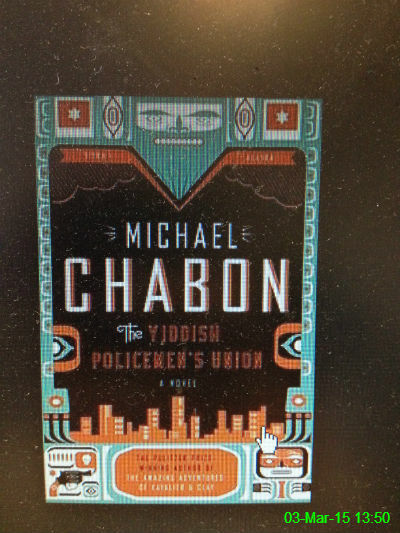 The latest choice for my book club is The Yiddish Policemen's Union by Michael Chabon. I'm reading it via the Kindle so I had to snap this pretty awful photo of a picture I found online. I'm only a few chapters in, but it seems an enjoyable and easy enough read so far. 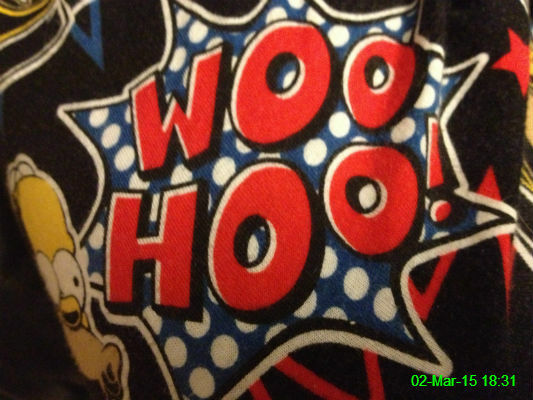 Isn't this everyone's reaction to Monday? 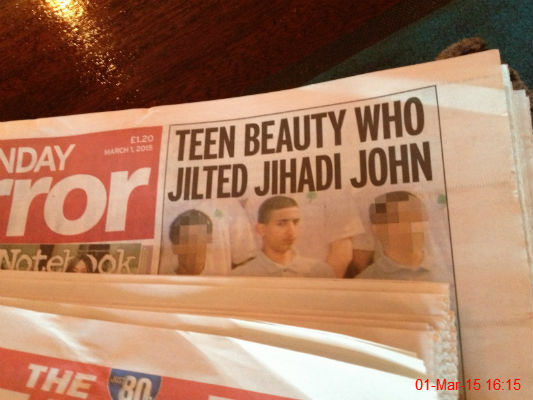 This bloke they've nicknamed Jihadi John has been in the news lately but this headline just made me want to listen to "Jilted John" by Jilted John, which is a song I've loved for years. Gordon is definitely a moron.